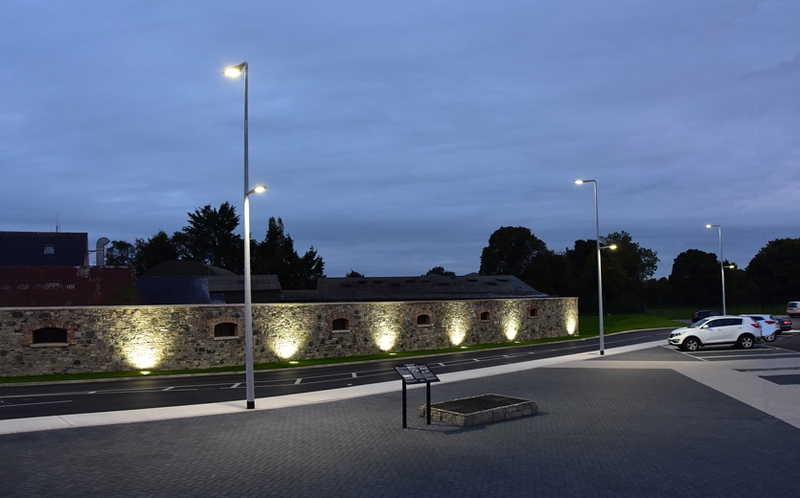 Architectural Street Lighting for Roadway and Pedestrian area, back to back, in the centre of Dunshaughlin, Co Meath. 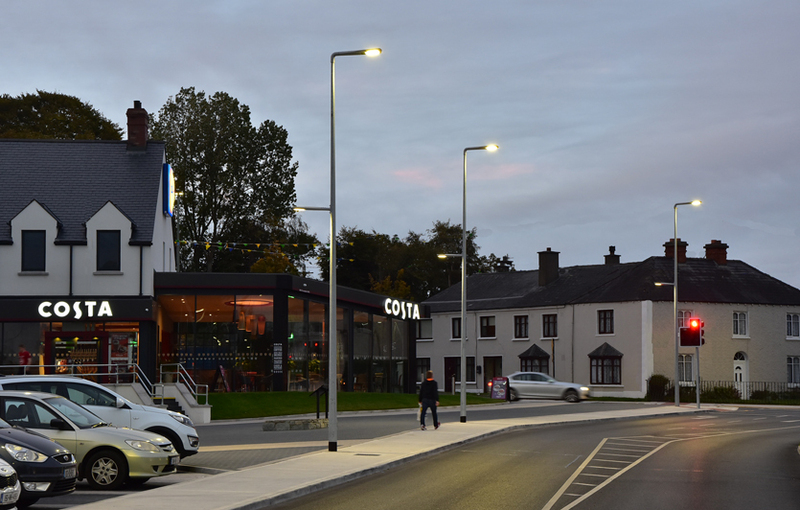 The Conical lighting Poles match the Conical shaped Lights and connect without any unseemly brackets. 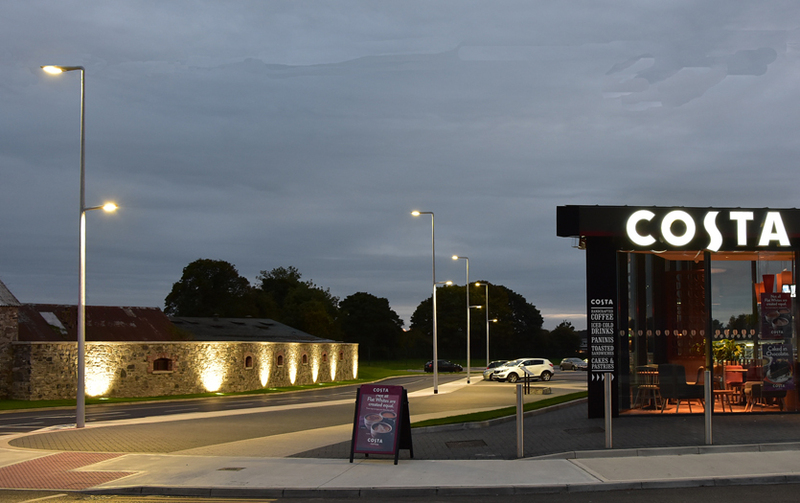 Groundlights 39w LED illuminate the Stone Wall in the background.